The St. Jakob Foundation is one of our partners of the first hours. As they daily give faith and courage to the handicapped, so did they with us. As a startup – without customers, without knowledge of German – they gave us (Wlad & Stan) their trust. Every day, the St. Jakob Foundation bakes, prepares sandwiches, salads and sweets. And all in absolutely fresh quality! Many rumors are circulating why Seri quit his financial job and started baking. We do not want to enlighten in this rumor mill, because what really matters when it comes to the food artist “Seri”, is his absolute skill and his sense of perfection. Having said that, you really have to taste his “French Croissants” and his “Pain au Chocolat”. As we and other customers are again and again, so will you be delighted with his fabulous products. Therefore; no matter why Seri is no longer “playing with figures”, we’re overjoyed that he bakes! 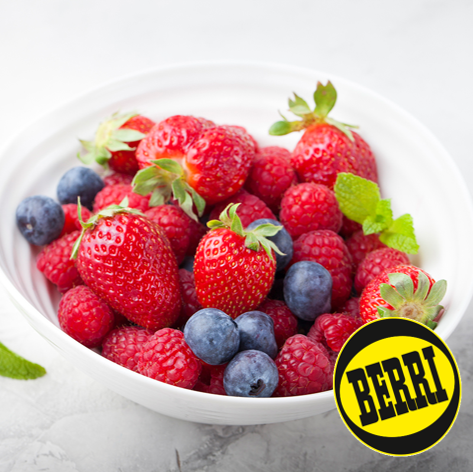 Since 1945, the Berri family is committed to offer the best, seasonal quality of fruits and vegetables. Spending a day with them, you realise what passion for fruits really means. First and foremost, we select seasonal and local fruits for you. However, as we all know, it is impossible to grow fruits all year round in Switzerland. It comes to storage for several months of Swiss fruits, resulting in a lost of taste and freshness. In this certain cases we rely on European and rarely on fruits from overseas. Located directly in the unique “Engrosmarkt” of Switzerland, you benefit from the absolutely freshest quality! What a story!! After finishing his apprenticeship at the bakery Vuaillat, Martin Mayer left for more than 15 years to explore the world. The list of places he has not been is shorter than to tell what he discovered on his journey. However, most important is the experience he his sharing with us, when he came back a few years ago to Switzerland. He took the chance to take over the bakery he kicked off his professional career and incorporated the best recipe of the world for “Sauerteig”. Discover with us not only a fine bakery, but also an incredible tasty creation of sandwiches and seducing sweets. As all our partners, there is all done freshly in the morning!